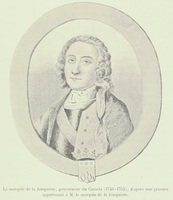 PICOTÉ DE BELESTRE, FRANÇOIS-MARIE, officer in the colonial regular troops, member of the Legislative Council, and chief road commissioner (grand voyer); b. 17 Nov. 1716 at Lachine (Que. 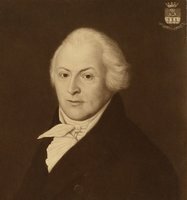 ), son of François-Maiie Picoté de Belestre and Marie-Catherine Trottier Desruisseaux; d. 30 March 1793 at Montreal. 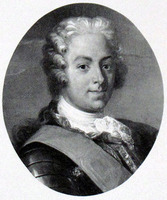 Like his father, François-Marie Picoté de Belestre chose a military career. 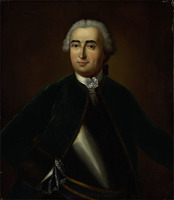 A year after his marriage to Marie-Anne Nivard Saint-Dizier on 28 July 1738, he took part, under Charles Le Moyne* de Longueuil and Pierre-Joseph Céloron* de Blainville, in a campaign to subdue the Chickasaws. This major offensive, which had been organized over a long period, enabled the governor of Louisiana, Jean-Baptiste Le Moyne* de Bienville, to obtain a negotiated peace with that forbidding tribe. In April 1742 Governor Beauharnois* rewarded Picoté de Belestre with recommendation to a second ensigncy. From June to October 1746 Picoté de Belestre fought in Acadia with the forces under Jean-Baptiste-Nicolas-Roch de Ramezay; he was entrusted with the special task of recruiting through Charles Germain, a missionary to the Malecites of the Saint John valley, pilots competent to guide the French ships and get them out of reach of the British fleet anchored at Port-La-Joie (Fort Amherst, P.E.I.). 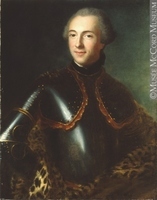 In 1747, along with Louis de La Corne*, known as Chevalier de La Corne, Luc de La Corne, and François-Josué de La Corne* Dubreuil, he was sent to invite the Indians of the pays d’en haut to Montreal. His popularity among the tribes had some bearing on his appointment as commandant at Fort Saint-Joseph (Niles, Mich.) the following August. The treaty of Aix-la-Chapelle in 1748 did not prevent the pressure of Anglo-American colonization from being increasingly felt in the Ohio valley. The attraction of new trade alliances led to the migration of a considerable number of Miamis who, under the leadership of Memeskia (La Demoiselle, Old Britain), wanted to escape from the surveillance of the French Canadians at Detroit by settling farther south on the Rivière à la Roche (Great Miami River, Ohio). There they founded the village of Pickawillany (Piqua), which rapidly became “the main centre of Anglo-American trade and political intrigue in the Ohio region.” In order to counter this threat to French claims to the region, Commandant General Roland-Michel Barrin* de La Galissonière dispatched a military expedition under Céloron de Blainville in 1749; the latter, because he lacked a strike force of adequate strength, decided his expedition could not attempt a punitive campaign aimed at wiping out Memeskia’s Miamis. In the autumn of 1751 the new governor, La Jonquière [Taffanel*] called on Picoté de Belestre, who had become a lieutenant in April of that year, to report to the minister of the Marine on the serious deterioration of France’s position in that part of the west. Until the eve of the conquest Picoté de Belestre maintained a fairly prosperous fur-trading business concurrently with his military activity. In the period from 1749 to 1759 he signed almost 90 hiring contracts, mostly for Detroit but sometimes for Michilimackinac (Mackinaw City, Mich.) and Fort des Miamis (probably at or near Fort Wayne, Ind.). The year 1756 saw renewal of military engagements against the British forts in Pennsylvania, Virginia, and the Carolinas. Early in the year, in compliance with the orders of Jean-Daniel Dumas, the commandant of Fort Duquesne (Pittsburgh, Pa), Picoté de Belestre and a party of Miami s and Shawnees fell upon a Carolina village consisting of some 40 houses and a small fort; they took 300 prisoners, looted, and put everything to the torch, to the satisfaction of Governor Vaudreuil [Rigaud]. Then in August 1757 Picoté de Belestre took part in Montcalm*’s victorious offensive against Fort George (also called Fort William Henry; now Lake George, N.Y.). In the autumn he was commissioned by Vaudreuil to go to spread terror on the north bank of the Mohawk, at German Flats (near the mouth of West Canada Creek). The governor wanted to teach a lesson to the German immigrants there who had refused to join the French. Perhaps, as historian Guy Frégault* has suggested, the crime of which they had been guilty in refusing to change their allegiance resembled that of the Acadians [see Charles Lawrence*]. The expedition lasted nearly two months and resulted in 40 dead and 150 prisoners. Vaudreuil had reason to be content, and the ease with which Picoté de Belestre had penetrated into enemy territory by way of the Mohawk led the governor in 1758 to conceive of a diversionary strategy in that region to draw off part of Major-General James Abercromby’s troops, which were concentrated on the Hudson with a view to invading Canada via Lake Champlain. Upon Jacques-Pierre Daneau* de Muy’s death in May 1758, Picoté de Belestre became commandant at Detroit, thus honouring the memory of his father, who had been there as second in command under Alphonse de Tonty*. 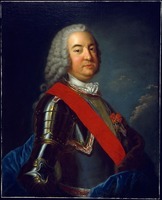 In January 1759 he was made a knight of Saint-Louis and was named captain at the same time as his son François-Louis was recommended for an ensigncy. 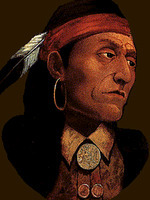 François-Louis assisted in rallying numerous Indian clans to the French cause. Taken prisoner by the Cherokees, he became one of their chieftains and succeeded in drawing them into taking up arms against the British in Virginia and the Carolinas, where they wreaked considerable havoc. François-Louis settled in Louisiana, and his family lived on there until the end of the 19th century. At the time of the conquest there was still support for the French among the Indian tribes of the pays d’en haut. On the eve of the surrender of Detroit late in 1760, a council was held by the Hurons, Weas, Potawatomis, and Ojibwas at Picoté de Belestre’s residence, during which they expressed their grief at his departure and their hope that they would not be abandoned to the British. When he visited Paris in 1762 Picoté de Belestre could thus report to the minister of Marine, the Duc de Choiseul: “These tribes are confident that the king their master will deliver them from slavery.” The same Indian tribes would respond to the appeal made by Pontiac* in 1763 to incite them against the British. 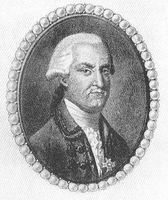 After turning over the fort to Robert Rogers on 29 Nov. 1760, the last French commandant of Detroit and its garrison were taken to Fort Pitt (Pittsburgh) and then sent on to New York, where they arrived on 4 Feb. 1761. From there Picoté de Belestre was to go to Europe. In Paris on 16 June 1762 he sent a request to the Duc de Choiseul for a company in Louisiana for François-Louis. Picoté de Belestre had had three daughters and two other sons by his first marriage. On 29 Jan. 1753, three years after his wife’s death, he married Marie-Anne Magnan, dit L’Espérance, and they had two children. While their father was detained in Europe, the two eldest daughters gave their stepmother cause for anxiety; she tried to secure the annulment of the marriages they had contracted before a Protestant minister, and she opposed their requests for a rendering of accounts. 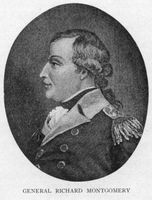 However, captains John Wharton and William Evans, her new sons-in-law, won their case in the Montreal Chamber of Militia. Picoté de Belestre apparently did not bear a grudge against his daughters. When he drew up his will on 8 June 1791 he included them or, failing them, his grandchildren, as beneficiaries of a sum of £50 each. Picoté de Belestre probably did not return to Canada before 1764. In Montreal he lived rather in seclusion. 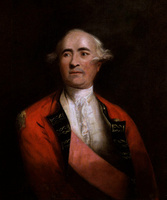 In 1767 he was involved in the unusual repercussions of the notorious Thomas Walker affair. Some startling arrests had been made in November 1766 in connection with the assault on the merchant Walker; six people, amongst them such prominent figures as the judge John Fraser, Luc de La Corne, and La Corne’s son-in-law John Campbell, were charged. The verdict was to be reached by a grand jury, on which sat several Canadians including Picoté de Belestre, Pierre-Roch de Saint-Ours Deschaillons, Claude-Pierre Pécaudy de Contrecœur, and Joseph-Claude Boucher* de Niverville, all knights of Saint-Louis. Wishing to clear their compatriot Luc de La Corne of the charge, they took the occasion “cheerfully” to swear the oath of allegiance to the British crown, contrary to the commitment which the order of Saint-Louis imposed upon them “of never quitting the service of the king of France to enter that of a foreign prince without his majesty’s permission and written assent.” What was a breach of allegiance to their former sovereign put them on the select list that Governor Guy Carleton* presented in March 1769 to the secretary of state for the American Colonies, Lord Hillsborough, in anticipation of future appointments to the Legislative Council. Picoté de Belestre was barely becoming familiar with his newly acquired role as a member of the Legislative Council in 1775 when the American invasion called him back to combat, this time in the Richelieu region. 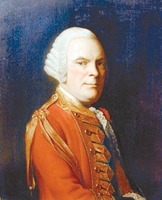 As Fort Saint-Jean was threatened, some one hundred Canadian volunteers, including a good number of ex-officers, rushed to its defence, under the orders of the former commandant of Detroit and of Joseph-Dominique-Emmanuel Le Moyne* de Longueuil. Picoté de Belestre stood out as a leader among those representing the Canadian nobility. The fort was under siege for 45 days. The valiant defenders had to surrender on 2 November, a fortnight after the capitulation of Fort Chambly. Picoté de Belestre was taken prisoner of war for the second time and underwent exile in Albany and New Jersey. 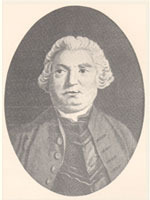 Upon his return Carleton appointed him chief road commissioner for the province on 1 May 1776. 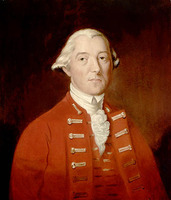 He does not, however, seem to have undertaken active duties because of his “age” and “infirmities,” as Haldimand, Carleton’s successor, noted. One final honour crowned Picoté de Belestre’s career. 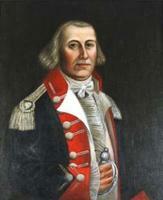 On 12 July 1790 he received the provincial rank of lieutenant-colonel, in recognition of his services during the American invasion. The political scene did not afford Picoté de Belestre the opportunity to distinguish himself by feats as brilliant as those of his military career. Appointed to the Legislative Council when he was nearing 60, he served in a spirit of honest and faithful allegiance to his British king, but with a feeling of deep attachment to the social and cultural values inherited from his former mother country. This attachment explains his participation in the various steps his compatriots took to preserve their precious heritage, on both the civil and the religious planes. He made common cause with the members of the French party within the Legislative Council. 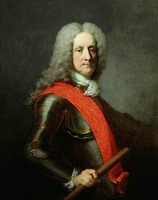 He fitted so well into the new régime established by the Quebec Act that he became one of its most tenacious defenders against the reform movement which, rallying both Anglo-Scottish and Canadian bourgeois forces in the colony, was calling for a system of representative government in conformity with the rights and privileges of British subjects [see Pierre Du Calvet]. 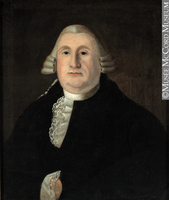 He must have been reassured by the constitution of 1791, since under it he was able to retain his prerogatives as a member of the Legislative Council. On 30 March 1793 François-Marie Picoté de Belestre passed away at the age of “76 years, 4 months, 13 days.” The “tremendous procession” that accompanied the funeral cortege was evidence of the high esteem in which his fellow citizens held him. AAQ, 1CB, V, 35. AN, Col., C11A, 85, pp.147, 151–52; 87/1, pp.45–46, 68, 178–79, 183–84, 194; 87/2, pp.22, 35; 97, pp.217–18; 101, pp.446–48, 461–62; 102, pp.3–5; 103, pp.357–59; 105, pp.606–15; D2C, 48, pp.69, 139, 391, 403, 424–26, 439–40; F3, 15, pp.86–92 (PAC transcripts). ANQ-M, Chambre des milices, 6, 9 févr. 1762, 6 déc. 1763; État civil, Catholiques, La Visitation-de-la-Bienheureuse-Vierge-Marie, Sault-au-Récollet (Montréal), 11 juin 1744; Notre-Dame de Montréal, 27 mai 1714, 4 déc. 1736, 28 juillet 1738, 11 avril 1739, 18 mars 1741, 15 sept. 1742, 2 déc. 1743, 10 sept. 1746, 9 juin, 20 août 1748, 29 janv. 1753, 16 mai 1754, 17 nov. 1758, 20 juin 1791, 2 avril, 31 oct. 1793; Saint-Antoine (Longueuil), 18 mars 1743; Saints-Anges (Lachine), 26 févr. 1731; Greffe de L.-C. Danré de Blanzy, 1749–59; Greffe de Joseph Papineau, 8 juin 1791. BL, Add. mss 21727, ff.107, 133 (mfm. at PAC). PAC, MG 8, A1, 9, pp.220–21; 10, p.98; MG 11, [CO 42], Q, 4, pp.1, 103, 105; 5/1, p.269; 6, pp.31–33; 11, pp.11–13, 161, 258–61, 284; 27/1, pp.63–67; MG 24, L3, pp.4017–19. American archives (Clarke and Force), 4th ser., II, 518–19. Amherst, Journal (Webster). Bégon, “Correspondance” (Bonnault), ANQ Rapport, 1934–35, 163. Coll. de manuscrits relatifs à la N.-F., III, 407; IV, 82. Coll. des manuscrits de Lévis (Casgrain), XI, 127–42. [Charles Deschamps de Boishébert et de Raffetot], “Mémoire de M. de Boishébert au ministre sur les entreprises de guerre contre les Sauvages, novembre 1747,” BRH, XXII (1916), 378. Doc. relatifs à l’hist. constitutionnelle, 1759–91 (Shortt et Doughty; 1921), I, 491–94; II, 578–79. [Antoine Foucher], “Journal tenu pendant le siège du fort Saint-Jean, en 1775, par feu M. Boucher, ancien notaire de Montréal,” BRH, XL (1934), 135–59, 197–222. Invasion du Canada (Verreau), 24–26, 335–36. Journal of Pontiac’s conspiracy, 1763, ed. C. M. and M. A. Burton, trans. R. C. Ford (Detroit, 1912). [Francis Maseres], An account of the proceedings of the British, and other Protestant inhabitants, of the province of Quebeck, in North-America, in order to obtain an house of assembly in that province (London, 1775). “La mission de M. de Bougainville en France en 1758–1759,” ANQ Rapport, 1923–24, 37–38. NYCD (O’Callaghan and Fernow), X, 49, 51, 85, 90, 115–16, 118, 145, 151, 162, 182, 423–24, 481–82, 486, 672–74, 705, 992, 1094. Robert Rogers, Journals of Major Robert Rogers . . . (London, 1765; repr. Ann Arbor, Mich., ). “Une expédition canadienne à la Louisiane en 1739–1740,” ANQ Rapport, 1922–23, 181, 189–90. Quebec Gazette, 15 July 1790. Massicotte, “Répertoire des engagements pour l’Ouest,” ANQ Rapport, 1930–31, 393; 1931–32, 251–59, 271–75, 279–82, 285–86, 289–93, 305–11, 363–65; 1932–33, 245–46, 250, 256. P.-G. Roy, Inv. procès-verbaux des grands voyers, V, 156–57. Stanley, New France, 20–21, 37, 176, 219, 265–66. Tousignant, “La genèse et l’avènement de la constitution de 1791.” Ivanhoë Caron, “Historique de la voirie dans la province de Québec; Régime anglais: les ordonnances de 1766 et de 1777,” BRH, XXXIX (1933), 283–84. “Références biographiques canadiennes,” BRH, LII (1946), 227. J.-E. Roy, “La charge de grand voyer,” BRH, II (1896), 139–40. P.-G. Roy, “Les grands voyers de 1667 à 1842,” BRH, XXXVII (1931), 451, 455. Pierre Tousignant and Madeleine Dionne-Tousignant, “PICOTÉ DE BELESTRE, FRANÇOIS-MARIE,” in Dictionary of Canadian Biography, vol. 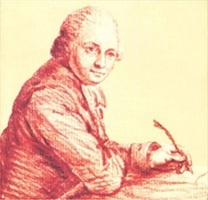 4, University of Toronto/Université Laval, 2003–, accessed April 24, 2019, http://www.biographi.ca/en/bio/picote_de_belestre_francois_marie_4E.html.